Hello, world! My name is Rebekah. I’m a banker at Southern Bancorp, a wife to a Pastor, and a mom to two boys. But few people know that I have another, secret identity. I’m a Super Saver. 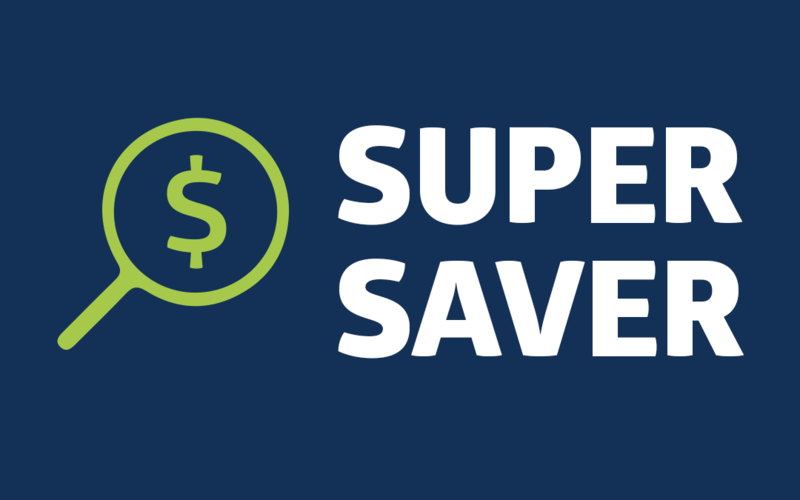 Over the years, I’ve come up with a lot of crazy ways to organize and save money through unconventional ways, and now I’m going to share them with you in the Super Saver blog each month! First of all, this blog is about unconventional savings. I strongly encourage you to be saving regularly in an FDIC insured bank savings account (Southern Bancorp has some great options). That should be your first priority. After that is when we get a little wild. Unconventional savings is just an extension of traditional savings, and it requires a change in perspective. For example, I think about my savings when I shop for anything, from vacations and household items to Christmas presents and clothes for my kids. My goal is to save every time I have to spend, because the more I save on everyday purchases, the more that I can add to my savings account. But I’m getting ahead of myself. Let’s start with a few of the basics to get you started. Plan the Work and Work the Plan! Set a budget and stick to it. Whatever you have after your budget can be used to save or pay on a debt. Paying off debt turns into savings in the long haul. In your planning, make sure you have room for a budget page and a bill checklist. Plan for the necessities. Mortgage payment, rent, utilities, groceries, and gas are all necessities that you should account for first. When you plan, you may just end up with more to save. So you’ve got your budget set and it’s down on paper. Now let’s talk about a simple savings strategy to kick off your savings journey! This isn’t new, but is something my family started a few years ago. The weekly challenge allows you to save $1,378 by the last week in December, making it the perfect way to save for Christmas. It’s pretty straight forward. You start the first week of the year by saving $1. Then the next week you save $2, and so on and so forth until you reach the final week of the year in which you’re putting back $52. It’s fun, easy, and keeps you out of credit card debt. And if you aren’t starting on day one, I mean, hey, it’s already April…then just add up your days and start where you can. The important part is that you’re saving regularly! Southern Bancorp even has a Christmas account designed to provide the same service. The point is that you’re saving a little bit over time so you don’t feel the pain down the road. An ounce of prevention so to speak… Plus, if you don’t use it all for Christmas, you’re left with a nice gift to yourself in the form of a savings account boost! I’ve got a lot of tips and tricks to share, so stay tuned for future installments. Savings is important for so many reasons, whether you’re saving for your kids’ education, saving to buy a home, saving for retirement, or just saving for an emergency. You can do all of these, and I’m here to help!